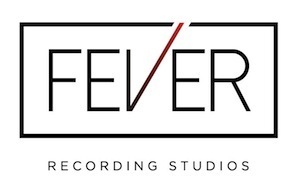 Fever Recording is a newly established state-of-the-art recording facility located in North Hollywood, California. A high-end expansion of Clear Lake Recording, owner Eric Milos created Fever Recording with a luxurious atmosphere where clients can receive the VIP treatment with comfortable, private lounges, and full-service amenities. Studio 1 houses a SSL 4000G and a variety of vintage and modern outboard gear. Studio 1's attractive live room is preserved with its deep, natural wood tones, creating a warm ambience that has plenty of room to simultaneously hold a grand piano, drums set, guitarist, bassist, and vocalist, making this large area an excellent space to film. Clients of Studio 1 can walk up the spiral staircase to their exclusive, private lounge. Additionally, Fever Recording has four production rooms, each including vocal booths, and access to our spacious, contemporary lounge.